Stainless Steel Coffeemaker, Coffee Scoop and 2 Boxes of Gourmet Coffee $14.95 Shipped! 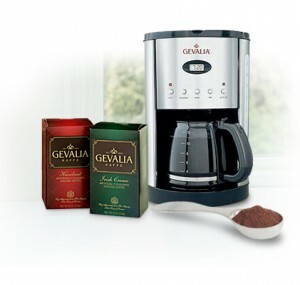 If you’re a coffee lover, you’ll most likely be interested in this awesome new Gevalia promotion! Even if you’re not a coffee or tea fan, Mother’s Day is just around the corner and this would make a perfect Mother’s Day gift! 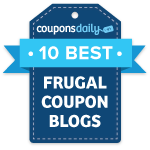 Currently, you can get a 12 Cup Programmable Stainless Steel Coffeemaker (in either white or black), Stainless Steel Coffee Scoop , and 2 boxes of gourmet Gevalia coffee for only $14.95 + FREE shipping! Go here to order these items and select the coffee or tea you’d like to try. You’ll then need to fill in your billing and shipping info. Once your order is processed, you’ll be automatically enrolled in Gevalia shipments. This isn’t a big deal since there is no commitment! After your order arrives, you can cancel with no further obligation, meaning you will not ever be billed again or sent anything more! If you decide that the Gevalia auto-ship program is not for you, just call 1-800-438-2542 and cancel. **Another promotion they have going on (if you want to spend less money): 3 boxes of Coffee or Tea and a Gevalia Stainless Steel coffee scoop for just $3 shipped! Go here to get started and place your order.